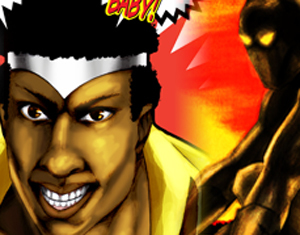 Black Superheroes 2011 - The Preview! 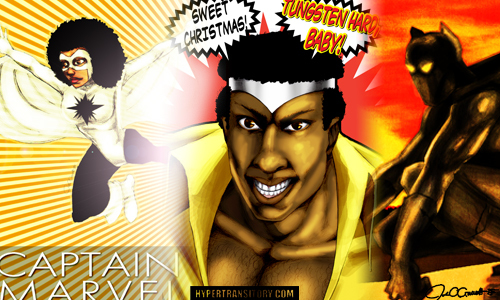 Black Superheroes 2011 – The Preview! Last year I started off with a grand idea to showcase 28 Black superheroes in the month of February, since February is “our month” and all. Well, my laziness got the better of me and I did…three. Three? THREE?? That’s all? Hey, I said I was lazy, didn’t I? Not this year, though. 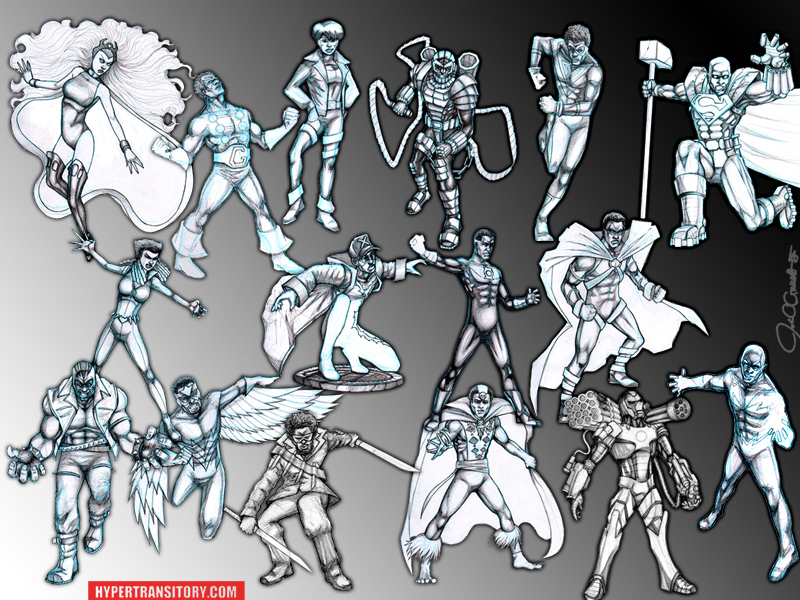 This year, 28 days of February, 28 Black superheroes. I’m not saying they’re the greatest heroes, because you kind of have to dig through the dregs of hero-dom to come up with 28 Black heroes. To alleviate this issue, I’ve decided to throw in some of my own creations as well to fill the ranks. These guys aren’t well known, but I think you’ll find them interesting, assuming you’re into this sort of thing. If not, just sit back and enjoy the ride, starting 1 week from today on Feb 1, 2011. Each day will feature one of my full-color drawings, and of course my sterling wit, so what’s not to love? Anyway, here’s a quick image of some of the heroes we’ll be seeing this February. These are the raw pencil drawings I’ve got done so far. Single drawings and more info to be found over on my Facebook page, so check that out. Also, if you’re not on my mailing list, go ahead and jump on that mailing list so you don’t miss anything important. So that will wrap up this public service announcement. Those of you coming back for more Black superheroes, I’ll see you in Feb! Peace! AMR! Thanks for dropping in, my friend. But I may revisit him this year with his more modern look. I don’t read much Justice League so I’ll have to check out Coldcast. Stay tuned, bro! Here’s the Wikipedia entry on Coldcast. Great job. This is a great topic for black history month. You already mentioned War Machine and the Crew but Justice / Josiah X arguably deserves a day. (Or perhaps Isaiah Bradley should get a day and Justice and the Patriot would be mentioned). There is M.A.N.T.I.S. from the short lived tv series. Meteor Man? Hancock? Crispus Allen as the Spectre. The Falcoln? Spawn? Ultimate Nick Fury? You don’t have to necessarily dig through the dregs to come up with 28 heroes. I’m glad I found this site!!! I’ve been interested in learning more about black women superheroes. You’ve done a lot of work here and the art is great. thank you. I watched them in Justice League. Black Superheroes are all brave. The following heroes that you have presented here are all unique they look like in the Justice League. Well anyway, you make it clear and it is simply amazing! That’s a great idea for Black History Month!! 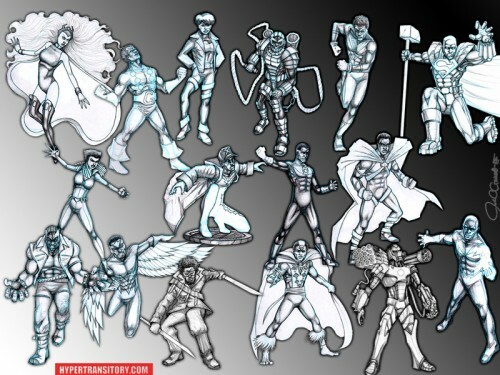 I think there should be more variety of ethnic superheroes…are there any asian or hispanic ones? I mean, I assume somewhere there are, but I can’t recall seeing any.